Curbside Jones has already done what it takes to prove himself as one of the most creative and charismatic artists in the Austin hip-hop scene via previous releases, but he’s in the midst of making a major impact with his latest project. A serial journey over several different EPs titled Milk Tea Chronicles, this series of songs and releases has some serious head nod factor working for it due to Curbside Jones‘s extremely mature production and highly confident lyric ability. Installment one is a reflection on expanding your horizons and exploring the world around you, while Voicemail Blues is a reflection on our new existence in the information/communication age and how we still manage to not maximize these potential connections despite every given opportunity to do so. For my money’s worth, it feels like Curbside Jones can do no wrong, and I’m really hoping he becomes one of the artists that can break through Austin‘s glass ceiling and make noise on a bigger level. Nothing hits me harder than a well executed concept album. I’m a casual fan just like anyone else… I dig it when production is going hard and lyrics are clever. There’s something special, however, about an artist who can take an idea, explore it thoroughly from song to song, and yet have each song be its own entity. I believe that Curbside Jones has dropped a concept album for the ages with his latest release, Wolves’ Clothing. 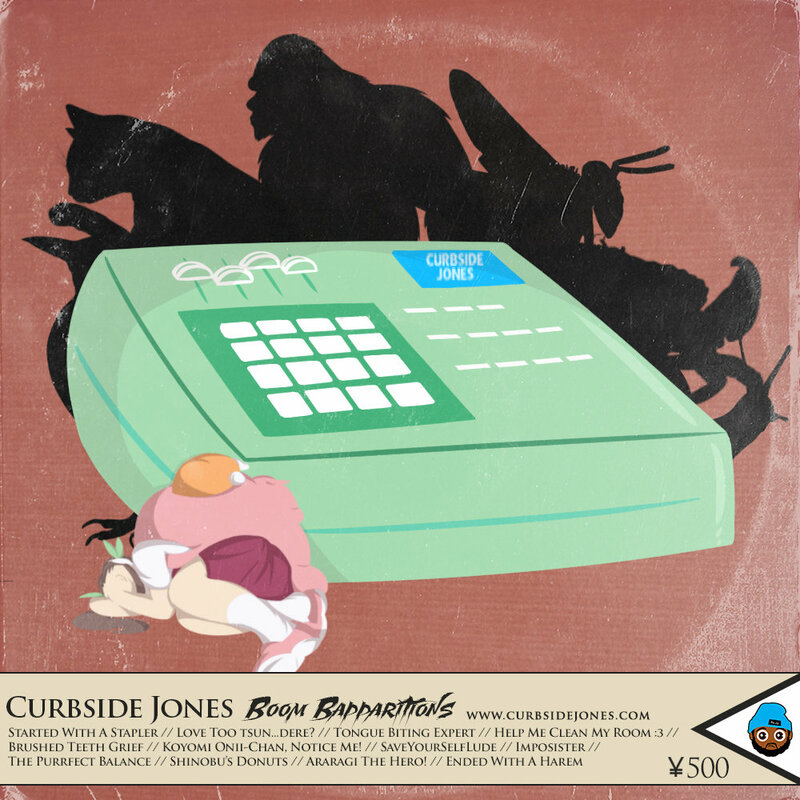 A very original take on the ‘wolf in sheep’s clothing’ concept, Curbside Jones gets extremely personal by using the analogy of the timid sheep ‘wearing’ the persona of the wolf. The smart part is how the analogy is direct, and yet open ended and easy to apply to other concepts, not just the literal imagery being set forth. Add in some of the hands down dopest cover art I’ve seen in ages, and it seems like we’re dealing with something that will more than likely make many best of lists at the end of the year. I’d be surprised if it doesn’t make mine. Here’s another discovered via P-Tek‘s Facebook thread. This time around, it’s Austin mainstay Curbside Jones, but it’s a new approach for him. Rather than bringing beats and rhymes, Boom Bapparitions focuses completely on the beats. Very solid listen, and worth throwing a few bucks at for sure.